As a volunteer on the Calgary Stampede Agriculture Media committee, this year I have the privilege of assisting the Stampede Farm Equipment committee with its social and traditional media needs. I have thoroughly enjoyed working with this committee over the past few months. I feel that the Stampede has a tendency to focus on animal agriculture while other aspects of agriculture get forgotten. And while animal agriculture is important (and let’s face it, who doesn’t love seeing all the animals! ), there are other parts of the industry that are just as important such as grain farming and farm equipment. As I’ve noted below, the Farm Equipment committee strives to preserve our agricultural heritage for young and old, bringing back to life vintage tractors and equipment. I believe it’s important for everyone, urban and rural, to see the equipment that was used in the past for farming and ranching. And to acknowledge the hard work that is required to restore these tractors. Just like some people are passionate about restoring classic cars and trucks, so too are these farmers who spend countless hours restoring these vintage tractors. And finally, while it is important to see the farm equipment used in years gone by, it’s equally important to realize that farming and ranching have come a long way. Today, farm equipment is much larger and much more technologically advanced, thus making it more efficient. With the pressure of feeding a growing world population on their shoulders, farmers need to produce more food and be more efficient than ever. And today’s farm equipment helps them do just that. I wrote the following blog post on the Farm Equipment committee for the Calgary Stampede blog and decided to repost it here. Enjoy. After a forced hiatus last year due to the flood, the Vintage Tractor Pull and Tractor Show & Shine returns to the Calgary Stampede. The 24th annual Vintage Tractor Pull, presented by Cervus Equipment, takes place on Sunday, July 6 at 7 p.m. and Monday, July 7 at 5:30 p.m. The event is organized by the Calgary Stampede Farm Equipment committee, which strives to preserve our agricultural heritage for young and old, bringing back to life vintage tractors and equipment. Photo courtesy of the Calgary Stampede. 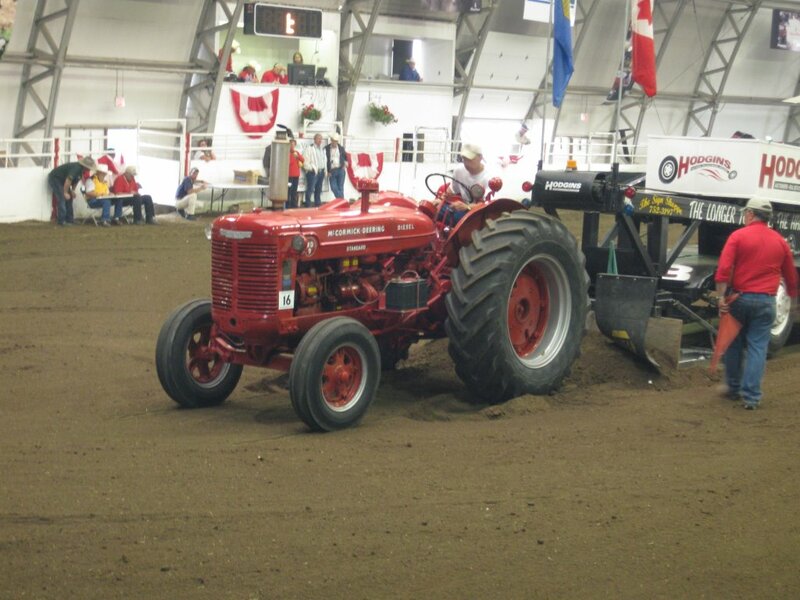 This year the Vintage Tractor Pull will be moving to new digs – the Scotiabank Saddledome. Don’t miss the rumble of the engines and the cheers of the crowd in this dynamic atmosphere. “The Farm Equipment committee is excited about this opportunity as it will really allow us to better showcase the vintage tractors in a venue that will provide a more informative and exciting viewer experience,” says Ellingson. Approximately 24 competitors from across Alberta will descend on Stampede Park with their vintage tractors in hopes of claiming first in their class in the Vintage Tractor Pull. There are six different weight classes – featherweight followed by Class #1 through #5, beginning at 1,000 lbs up to 9,999 lbs. The winner of each class is determined as the longest average of two pulls. Photo courtesy of the Calgary Stampede Farm Equipment Committee. Between classes during the Vintage Tractor Pull, sit back and take in the Metal versus Muscle show where vintage tractors will square off against a team of powerful Percheron heavy horses – this is horsepower at its finest. The Tractor Show & Shine is also back this year. 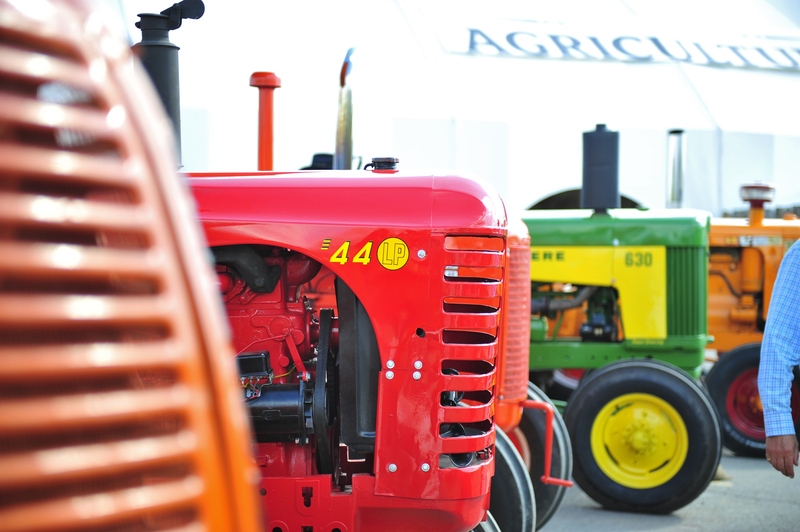 Come get an up close and personal look at the immaculately restored vintage tractors from 1960 and older. The Show and Shine takes place on Sunday, July 6 at 5 p.m. on Country Trail between the Agriculture Building and the new Agrium Western Event Centre. This is your chance to talk to the tractor owners who invest significant time and money into restoring these beauties and are truly passionate about their work. 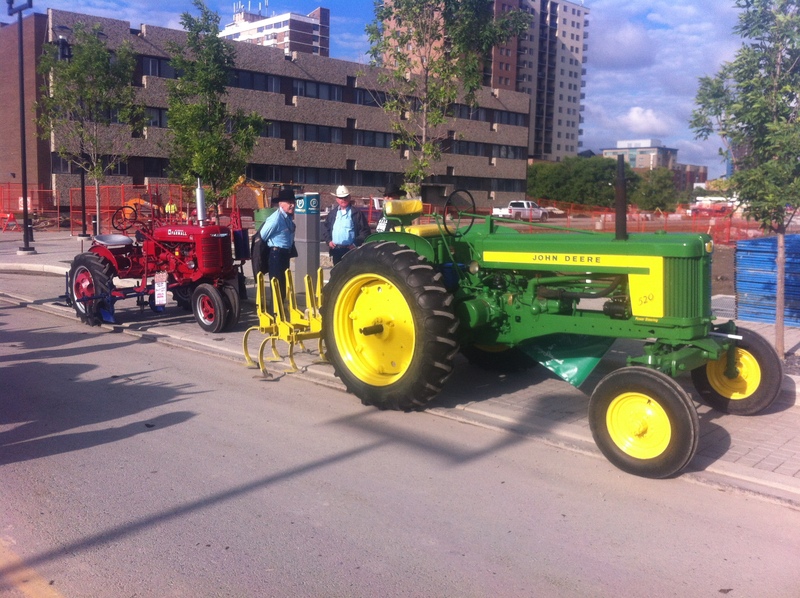 If you miss the Show & Shine, take a walk down Country Trail during the rest of Stampede as two vintage tractors will be on display for all 10 days. You can even climb aboard and have your photo taken with a vintage tractor at a designated time each day. And if you’re going to be taking in the Calgary Stampede parade on Friday, July 4, watch for the vintage farm equipment. This year’s parade entry features haying equipment. Three vintage tractors will rumble down the streets of Calgary hooked up to working haying equipment, which includes a 1953 John Deere model 60 with a sickle mower owned by Brian Steiner of Calgary, a 1956 John Deere model 320 pulling a hay rake owned by Wayne Risdon of Strathmore and a Massey Harris model 201 pulling a square baler owned by Don Ellingson of Calgary. 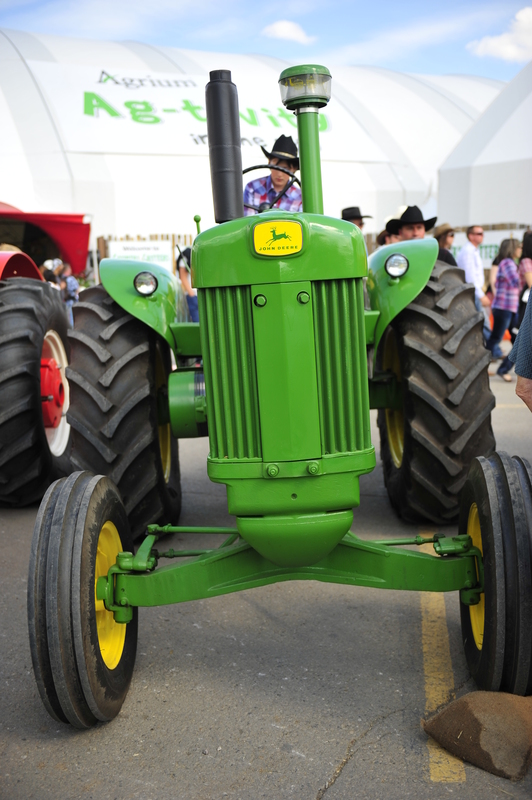 Don’t miss the Vintage Tractor Pull and Tractor Show & Shine at the 2014 Calgary Stampede. For reminders, follow @stampedeag on Twitter, @stampede_ag on Instagram and like Calgary Stampede Agriculture on Facebook.